Switching defenses are becoming more popular in the NBA and perhaps no team plays against them more than the Warriors. 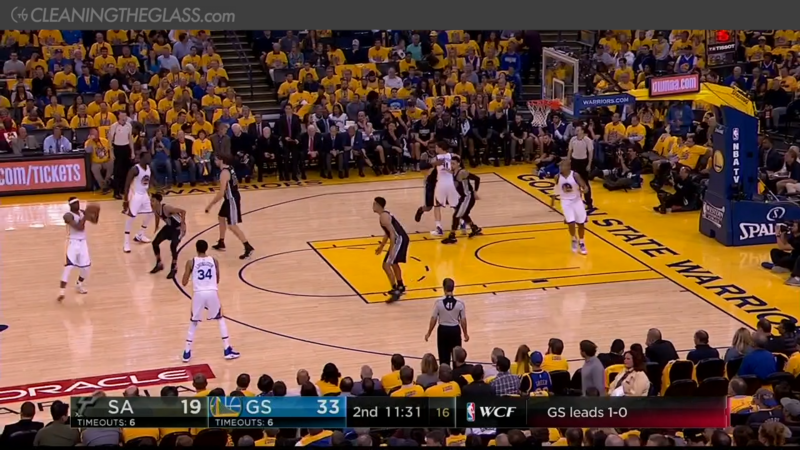 But Golden State has been able to attack switches in creative ways. Switching is probably the most straightforward item on a basketball coach’s menu of defensive tactics. One offensive player goes to screen for another, and to eliminate any advantage the offense might gain, the defenders just switch who they’re guarding. Other options might necessitate more complicated choreography or require help from other defenders besides the two immediately involved in the action. But switching is simple: you take him, I take him. Or at least it seems that way. The downside of switching, the reason it has typically been avoided, comes later. A switch may neutralize the immediate action, but there was a reason the defense had matched up a certain way to begin with and now those matchups are flipped. With players of similar size and speed this may not be a big deal, but as those differences become larger the switch does more damage. The offense now has two size mismatches to attack: a small player able to use his quickness against a bigger defender, and a bigger player able to use his size against a smaller defender. We’ve all seen this plenty of times — it’s not a rare occurrence. 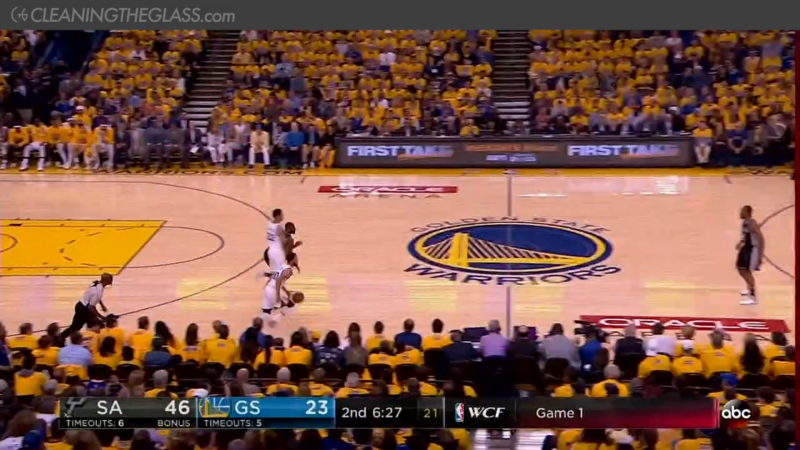 The announcers on TV exhort the players to attack the mismatch, the offense stops moving, spaces out and everyone watches one player go to work. It’s as if the game was suddenly teleported to the 1990s and isolation basketball is back in style. There’s a reason isolation basketball feels like a ’90s throwback. Modern basketball has moved away from one-on-one play and toward a more dynamic style centered around pick-and-rolls. The league is becoming more skilled: more shooting and more passing from more positions means that offenses benefit more from movement and screening, and defenses have fewer choices to defend these actions without giving up something good. By switching on screens defenses can take these advantages away. There is no doubt that some switches create mismatches of such a degree that attacking one-on-one is the right move, but these mismatches are rarer than offenses tend to expect — especially against smart defenses that help and double team in creative ways. Switching on defense trades those slight mismatches for the opportunity to throw sand in the offense’s gears, taking them out of their flow and making them play a slower, grittier, uglier style of basketball. All of this means switching defenses are on the rise, making it more important for offenses to figure out how to counter them. The season-long battle of the Spurs vs. the Warriors, the best defense in the league against the best offense, is now at its apex in the Western Conference Finals — and it provides a window into how offenses can avoid getting zapped. Perhaps no offense more exemplifies the modern style of basketball than the Warriors’. They are all about dynamism, about movement and screening and avoiding static situations. According to NBA.com’s play type data1, only one other team played out of isolations and posts ups less than Golden State did this season. 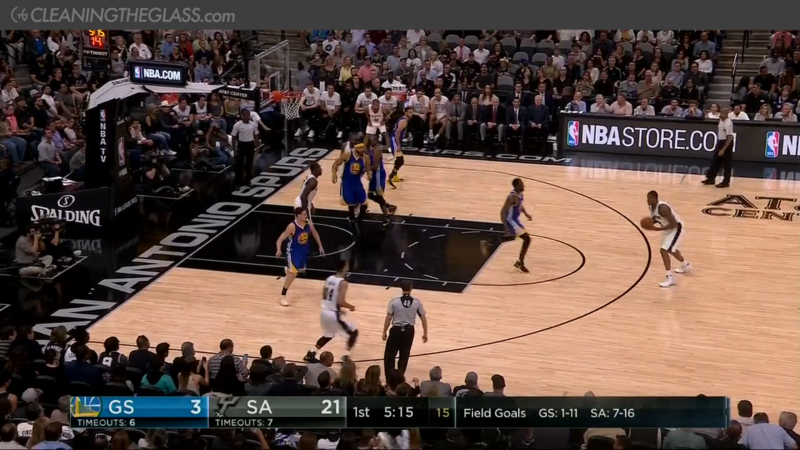 With elite shooting and great passing, the Warriors present a major challenge to most conventional styles of defense. Play back on a screen and they’ll knock down open threes. Play up or trap and they’ll find the open man. It should be no surprise, then, that switching is a frequent tactic used against them. 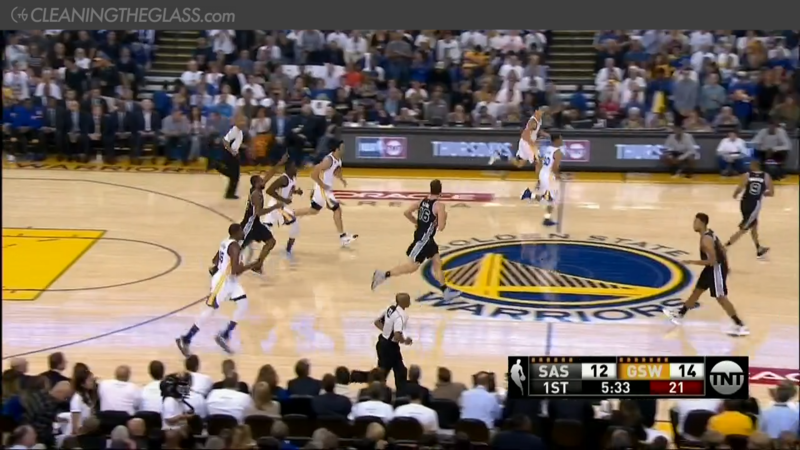 When facing the Warriors there are no good options for a defense, you just have to pick your poison. And switching may be the most tolerable form of arsenic. The Warriors, though, don’t lose their identity when defenses switch. 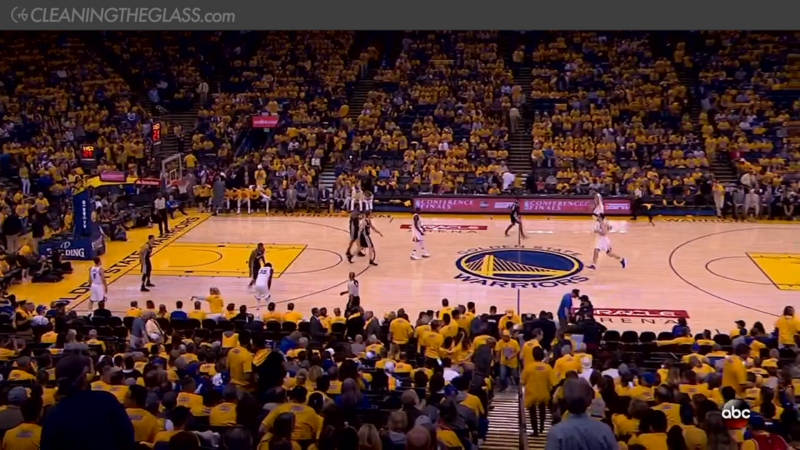 By virtue of having seen so many switches, Golden State has learned how to play against them. 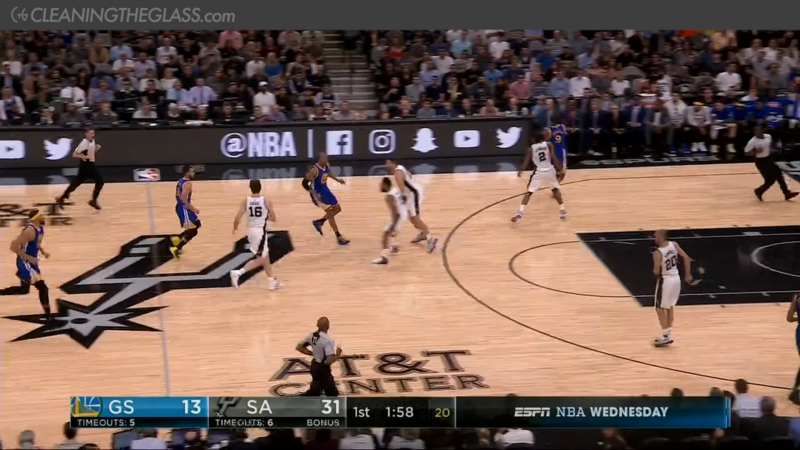 And by watching what the Warriors have done against the Spurs in their regular season and playoff games so far this year, we can learn more creative ways to counter the switch2. There are even more tactics defenses can use to counter static, one-on-one play, like fronting the post or creatively double teaming. All of that makes it much harder for offenses to gain one-on-one advantages. 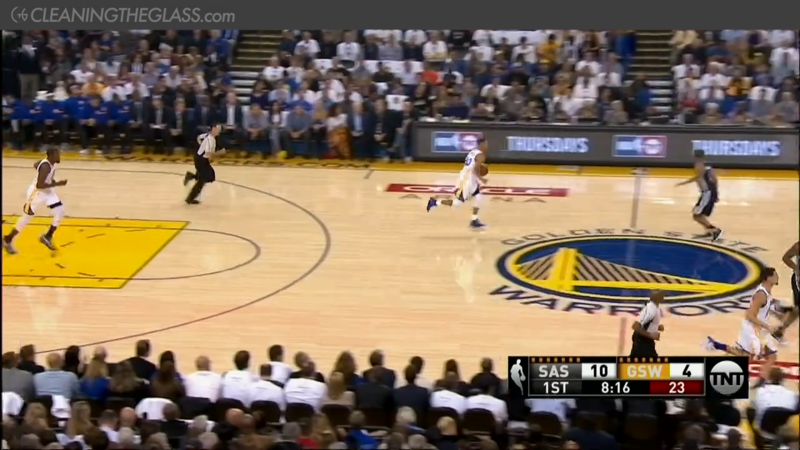 So Golden State has instead resorted to ways to attack switches through movement. 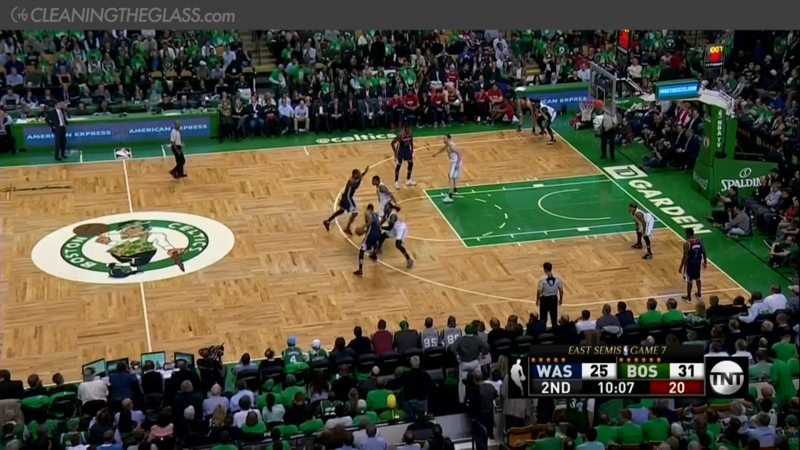 This takes advantage of the player who was originally guarding the ball handler being out of position. 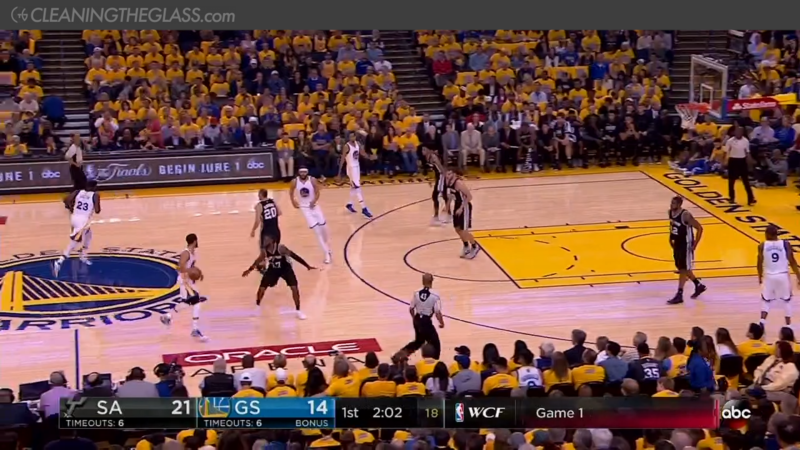 They were chasing the ball but now they are too high out to switch, so it turns into a more standard pick-and-roll even though the defense is trying to switch it. This is similar to the hard roll above — it makes a switch look more like a conventional pick-and-roll, keeping the movement Golden State wants. 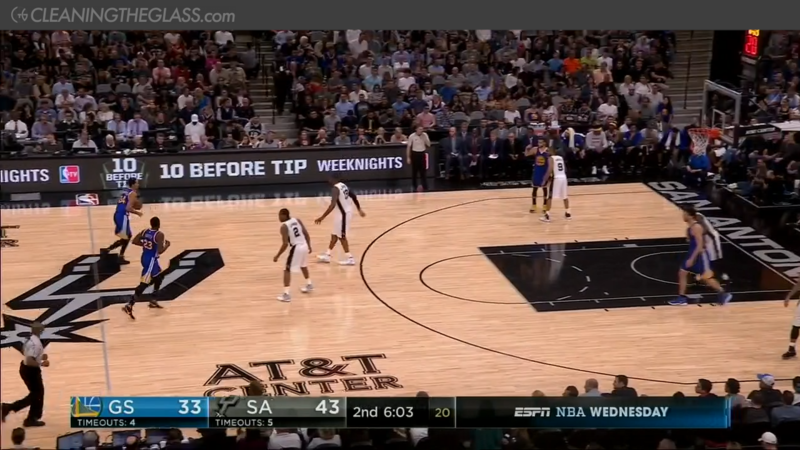 But it also has an advantage of creating confusion for the defense: if there is no screen set, it’s ambiguous whether the defenders should switch or not. Both defenders have to be on the same page to avoid a major breakdown. Which illustrates a general point: switching requires a team to have great communication. It’s very easy to have a breakdown when switching, and so each switch puts pressure on the defenders to be on the same page. 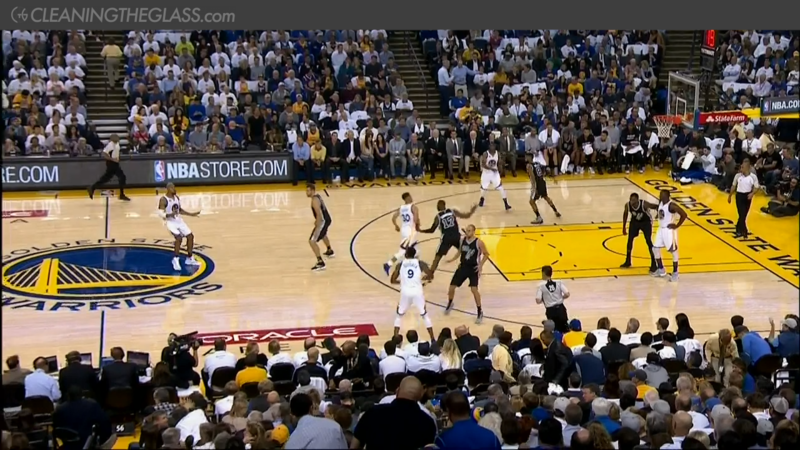 By slipping out or setting ambiguous screens an offense can make it more likely the defense gets confused and makes a mistake. 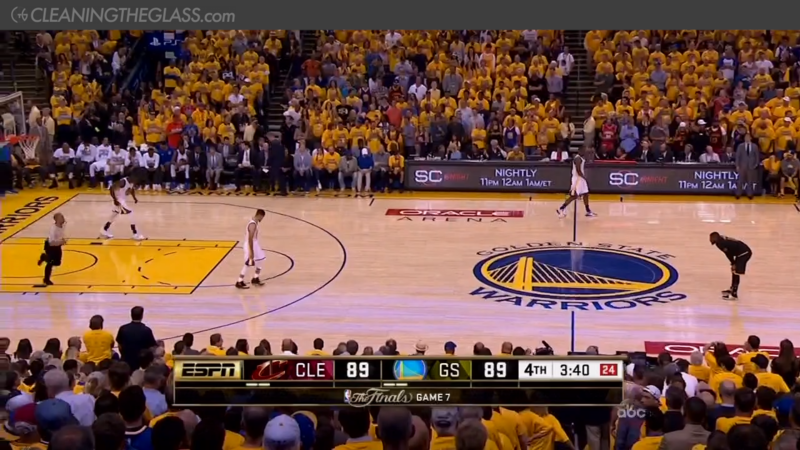 What the Warriors do against switches teaches us a broader lesson about their offense. Golden State has been the most efficient offensive team over the last three seasons, and they’ve had this offensive success because of their skill level — the shooting and passing is what opens it all up in the first place. But it’s not just that. They maximize that skill advantage through constant movement and activity, avoiding static isolations, post-ups and pick-and-rolls as much as any team in the league. The ball and players just keep moving. In each of these last three years they have ranked in the top 2 in the percentage of their made baskets that were assisted, this year assisting on over 70% of their makes — a mark not reached by any team in the previous 13 seasons. They’ve also had one of the lowest rates in the league of seconds holding the ball per touch. Perhaps it seems inevitable that a team with this much shooting and passing would play like this, but that’s not necessarily the case. With a largely similar roster, Golden State’s teams in the two seasons prior to Steve Kerr taking over as head coach did not rank in the top 10 in assist rate and actually had the highest seconds per touch in the league4. Take the skill level of the players and add in Steve Kerr’s offensive style and the Warriors’ perpetual motion machine has become almost impossible to stop. Should the two teams face off in their third straight Finals matchup, it will be a key aspect of the matchup. Will the Cavs be able to get the Warriors to once again play on their terms? 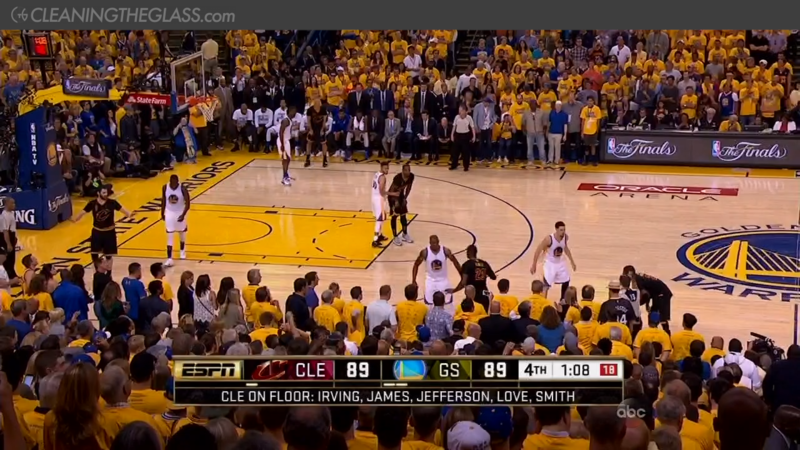 Or will the Warriors be able to turn the Cavs’ tactics on their head and flip the switch?